Android N is changing the way app installation and app optimization are handled. If you’re lucky enough to have a device that receives frequent updates, you may be familiar with the slight annoyance of having to wait for your apps to “optimize” for the new system version. During this process, apps are pre-compiled in a process called Ahead-of-Time compilation, which basically ensures that apps are ready to run the instant you tap on their icon, as opposed to having to wait several seconds when you launch the app. This behavior was introduced with the ART virtual machine, which was previewed in KitKat and fully launched in Lollipop. Before ART, the Dalvik virtual machine used Just-in-Time compilation, meaning that apps were compiled at runtime. With Android N, Google is changing things up again. To cut on the long time required to compile apps when the system is updated Android N now switches back to Just-in-Time compilation, but only the first times an app is launched. After that, Android N proceeds to compile apps Ahead-of-Time, presumably during idle times. 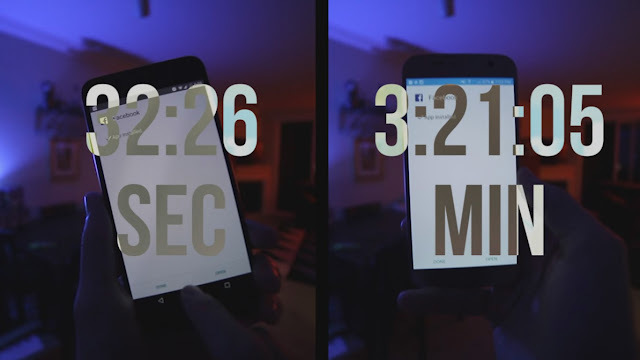 We first met the extended, multiple-minute optimizing apps pop up when Lollipop moved us from Dalvik to ART. The Dalvik virtual machine would process Java into native code on the fly. However, ART processed the Java code ahead of time, allowing for smoother operation. It also meant the arduous optimizing apps step after each system update. One of the most tangible benefits of ART's JIT compiler is the speed of app installs and system updates. Even large apps that required several minutes to optimize and install in Android 6.0 can now install in just a matter of seconds. System updates are also faster, since there's no more optimizing step. Android police's Mark Burstiner doing a quick test just to see if we could replicate and feature the faster install speed. What devices were those? One, Nexus 6P (of course) running Android N and the other is a Galaxy S7 (Snapdragon 820 version) running Marshmallow how much longer Facebook took to install on the S7.